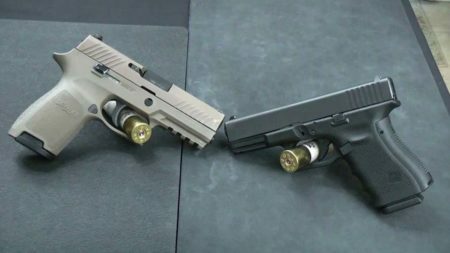 Sig Sauer P320 vs Glock 19 – Which Is Best For Carry? Buying yourself a brand new 9mm handgun is exciting and a bit intimidating at the same time. Nowadays, there is an abundance of different handguns to choose from and just as countless opinions on each and every one of them. While it’s important to choose a handgun that suits you the best, you should still get a second opinion before making your final decision. Regarding the Sig Sauer P320 and the Glock 19, the very first thing we can say about these guns is that they are both popular in the US. These quality weapons are packed with great features, and what’s more important — they’re both reliable. Since deciding between these two beauties may prove to be harder than you thought, let’s take a look at each of them separately. Once you’ve got a clear picture of what each one has to offer, we’ll do a little comparison to make your decision a little easier. Let’s start with the Sig Sauer P320. This interchangeable pistol system seems to be quite popular at the moment. That’s not to say that it shouldn’t be. Although a modular pistol isn’t exactly a never-before-seen idea, Sig Sauer has one of the most efficient designs for changing frames, grip sizes, slide lengths and calibers. While most companies do offer adaptive backstrap panels, Sig Sauer decided to go with interchangeable frames instead. These frames are available in various sizes; compact, subcompact, carry, and full size. Each frame is sold separately. Obviously, since you’re able to change the frames, you’re also able to change the size of the frame. Furthermore, if you want to shoot a large variety of different cartridges, you can use caliber conversions. So, to put things into perspective, once you buy the Sig Sauer P320, you basically have a bunch of different ways to use it. So far, the Sig sounds unbeatable. Let’s move on to the frame sizes. The compact frame has a 3.9″ barrel and is 7.2” long, 1.3” wide and 5.3” tall. It weighs in at 25.8 oz and has a magazine capacity of 15+1. Next, the subcompact frame has a 3.6” barrel and is 6.7” long, 1.3” wide and 4.7” tall. Weighing in at 24.9 oz, this frame has a magazine capacity of 12+1. The carry frame is 5.5” tall, but other than that, it’s basically the same as the compact frame. However, due to the fact that it is taller, this frame has a magazine capacity of 17+1. Finally, the full-size frame has a 4.7” barrel and is 8” long, 1.3” wide, and 5.5” tall Weighing in at 29.5 oz, the magazine capacity of this frame is 17+1. With this model, Sig Sauer decided to improve upon some of the features of the Sig Sauer P250, more specifically, the trigger. This pistol provides an exceedingly accurate shot, so if you consider yourself an expert marksman, the P320 will only improve your shot. Even though the thought of buying all these frame sizes will definitely seem appealing to you, there is still the matter of price to discuss. Ultimately, this will cost you a pretty penny. On the other hand, with this one pistol, you really have so much variety. 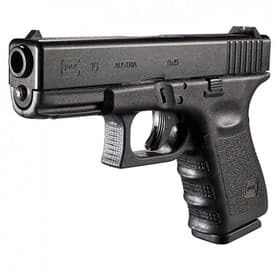 However, before we come to any conclusions, let’s take a look at the Glock 19. Glocks are being used in police departments, special operations units, and of course, by the US military. All in all, they’re quite a popular weapon, mostly because they are reliable. Moreover, the Glock is probably one of the most reliable pistols you’ll come across. With next to no upkeep, this weapon brings functionality to a whole new level. 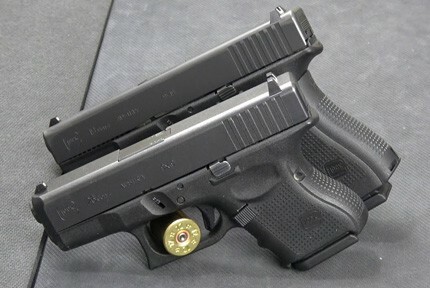 First of all, the Glock 19 is sized between a compact and a full size, making it easy to conceal. However, it can also be used as a home defense weapon, and not to forget — a range weapon. We can easily say it’s as multidimensional as it can get. The Glock 19 has a simple mechanical construction with very few internal parts. 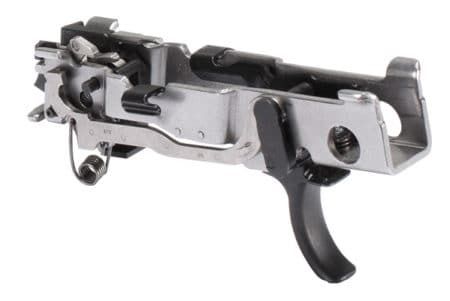 Furthermore, this pistol is adjustable and all the parts are easily replaced. We’ve mentioned that the Glock 19 is similar in size to the compact frame of the P320. 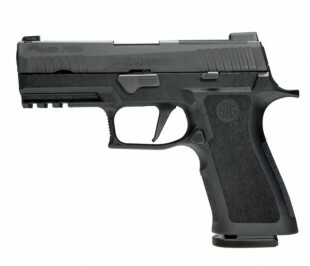 It has a 4.01” barrel, it’s 4.99” tall, 1.8” wide and is slightly longer than the P320 compact. Weighing in at 23.65 oz, the Glock 19 has a magazine capacity of 15+1. Overall, the Glock is a bit lighter than the P320, mostly because of the amount of polymer in the pistol. One of our favorite features of the Glock is how it shoots. Simply put, this pistol just feels comfortable, and that’s most likely because of the trigger. The safety of the Glock 19 is functionally the same as the P320. The Glock 19 may not be chock full of features, but it’s definitely a simple weapon you can rely on, and that’s what’s important. Although we can’t exactly tell you which pistol to choose, nor do we want to, what we can do is provide you with a comparison of the two. Hopefully, after reading this you’ll have a clearer picture of which one is right for you. We know that this is the part you’ve been waiting for, so let’s get down to it. First of all, if you’re looking to purchase a reliable carry weapon, one that’s light and comfortable to use, the Glock 19 is the right choice for you. It’s lighter than the Sig Sauer P320, and it’s as straightforward a weapon as you can get. Furthermore, another point goes to the Glock for being a low-maintenance weapon. Next, let’s look at interchangeability. In this case, the P320 is the ultimate champion. We simply cannot get over how versatile this weapon is! By purchasing one pistol, you get so many different possibilities. The P320 is a weapon you just can’t get tired of. The Sig Sauer P320 is also an excellent choice for those of you that live in an area with strict gun laws, for obvious reasons. However, the P320 loses points to the Glock in terms of safety. The Glock 19 is one of the safest guns you’ll come across. That’s not to say that the Sig Sauer P320 isn’t completely safe to use. We just prefer the Glock in this case. Basically, both of these weapons are exceptional in their own way. Have you decided which one you prefer? Obviously, you came here to find out what each weapon has to offer. Ultimately, they are very different, but they both have certain qualities that cater to the needs of an individual. If you’re looking for versatility, the Sig Sauer P320 is your best bet. If it’s reliability you’re searching for, then the Glock 19 is unbeatable in that area. In the end, it’s versatility over reliability. It all depends on your personal preference. All in all, both of these weapons are top-quality products and the important thing is that you cannot go wrong by picking one over the other. Dale is a Kentucky-based attorney who has been shooting guns for more than ten years. 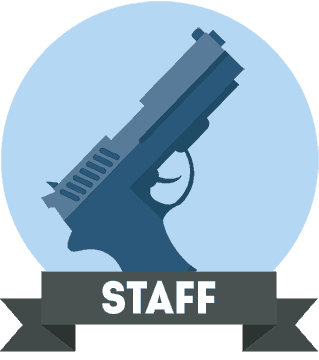 In his free time, he writes about politics, law, and his personal experiences with firearms online. 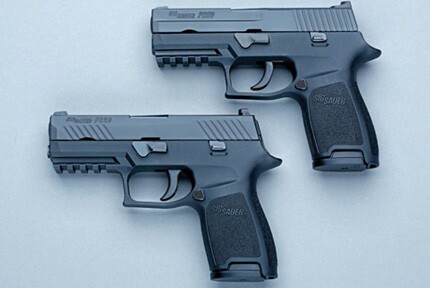 SIG Sauer P250 vs SIG Sauer P320 - Which Is Best For Carry? 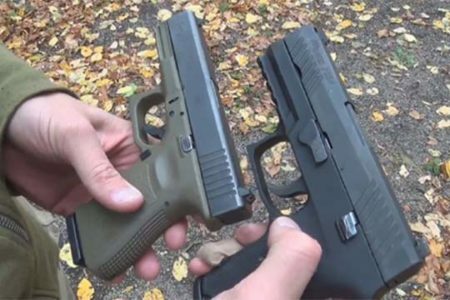 Glock 19 vs Glock 26 - Which Should You Choose? © 2019 GunAdvice. All rights reserved.